Every single casino game should be approached with a specific money management plan in mind that corresponds to the game’s peculiarities and slots are hardly an exception. In fact, adequate bankroll management is even more important when it comes to slots due to the dynamic pace of this type of game – those, who lack any plan of action, risk depleting their entire bankroll in a few unlucky spins. While there is no way for players to predict whether or not they will land a winning combination on the reels on any given spin, proper money management can greatly increase their chances of maximising their winnings and even help them end their betting session on profit. It is always a good idea for slot players to incorporate a suitable bankroll management technique into their gaming session as this instils a good deal of discipline in them and enables them to control the amount of money they spend when playing a specific online slot. Players are highly recommended to choose a money management plan in advance prior to placing their bets on online slots. Managing one’s bankroll is a complex process as it comprises several keys aspects players need to consider beforehand. You will find more detailed information on each of these aspects below. The first thing players are recommended to do is determine the size of their bankroll or the amount of money they intend to use for playing the slots. Your monthly bankroll should consist of funds you are comfortable spending and potentially, losing, which is not to say you will necessarily waste away your entire bankroll. That being said players should never resort to gambling with money they need for food or for paying their rent and utility bills. Decide what amount you can comfortably set aside to play the slots with and stick to it. Another good idea will be to open a separate bank account or use a separate credit/debit card to boost your online casino balance. This will spare you from being tempted to extend your gaming session by using funds that are not intended for gambling purposes. Once you have decided how much you can comfortably spend on the slots per month, you need to break down your overall monthly bankroll to smaller portions, reserved for each betting session you intend to participate in. For instance, if you can afford to spend a total of £800 per month and you have planned four separate betting sessions in advance, you will have £200 for each session. This approach can help your restrict your losses. If your luck fails you and you end up losing the £200 in the course of the first session, you will still have £600 for your remaining three sessions that can help you finish the month on profit. When it comes to slots, inexperienced players are recommended to determine what coin value they use very sensibly. After all, hitting the Spin button requires only what seems like a millisecond and if you play with a higher denomination, you might end up wasting your entire bankroll in under ten minutes. Also, apart from the coin value, players need to decide how many coins they bet per active payline on the basis of how much money they have set aside for the betting session. There is a general rule that states that the higher the stake is, the larger the payback percentage will be. 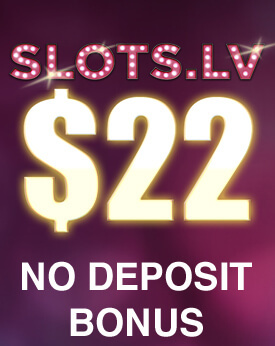 More experienced slot players recommend novices to play one coin on slots with higher coin denominations rather than betting three or more coins on slots with lower coin denominations. However, if you opt for playing slots with progressive jackpots, you are generally recommended to bet the maximum amount allowed per spin as this will increase your chances of triggering the life-changing prize. Otherwise, you will only end up contributing to the jackpot without actually having a chance of winning it yourself. There are players, who become greedy after they land a lucrative combination on the reels and earn a hefty payout. Such people typically end up losing what they have already won to the house because they covet more profits and do not know when to stop. Yet, learning to accept small wins is another essential aspect of bankroll management. Seasoned slot players always set a win limit for themselves in advance as this helps them end the betting session with their winnings intact. Experts recommend setting a win limit that amounts to 60% of your starting bankroll for the betting session. For example, if you start the session with a bankroll of £100 and your win goal is 60%, you can continue betting until you have generated £60 in profit. At this point, you can either quit betting or apply the “guarantee and excess” principle. You can set aside half of the profit or £30 as this would be your guarantee – no matter what happens, you are guaranteed to terminate the session with £30 in profit. The remaining £30 are the excess which is to be added to the bankroll. You can use the excess to place more aggressive bets if you wish. Setting a loss limit is equally important. More often than not it is recommended to quit when you have lost about 50% to 60% of the starting bankroll. So, if you start with a £100 bankroll, you need to quit playing once you are roughly £50 behind. Whatever you do, do not attempt to chase your losses. This is a common mistake that has caused many slot players to exhaust their bankrolls altogether. In slots, the reel spins that render no returns are referred to as “naked pulls”. When players experience several losing spins in succession on a given slot, this might be interpreted as a signal to wrap up the betting session. Less experienced slot players often persist in betting on the same slot after suffering several consecutive losses because they believe they are “due” for a payout. However, this could not be further from the truth. This is how the “naked pulls” approach works. First, you need to pick one number within the range of seven and fourteen. But you can go for a lower number, like four or five, if you wish. It all depends on the size of your session’s bankroll. Let’s assume you pick number eight. You choose an online slot to play and give the reels a minimum of eight spins. If the first eight spins fail to result in any returns for you, this might be interpreted as a sign the game is “tight” and you should consider switching to a looser slot. When combined with the loss limit you have set for yourself, this approach will enable you to cut down your losses and protect you against depleting your entire bankroll for the session. Inexperienced slot players tend to increase their bets after a loss occurs, hoping that they will be able to recoup the losses on the following spins. However, this approach often ends up costing them their entire bankrolls. Some experts recommend you to do precisely the opposite and wager smaller amounts when you are losing. The bets should be increased only when you start winning. This method will help you weather out a losing streak and maximise your profits on a hot run. Let’s demonstrate how this technique works with an example. First, you start the series by betting one coin. If you win on the first spin, you can increase the second wager to two coins. You win again, so the third spin should cost you three coins. Your luck fails you on the fourth spin, so you need to reduce the next bet to two coins. If you lose again, you bet one coin on the following spin and so on. Players, who reach five coins per spin are not recommended to increase their stakes further but continue betting five coins until they experience a loss and start decreasing their bets on the spins to follow. If you reach the number of naked pulls you have set for yourself at any time during the betting session, it would be a good idea to cash out the remainder of your bankroll and terminate this session. There is another approach which dictates that players should start with the minimum bet amounts allowed on their preferred slot. They continue placing lower bets until they land a winning combination, in which case, they are required to bet the maximum amount. Should they win again, they continue placing the maximum bet until they eventually lose and go back to their starting, low wager. 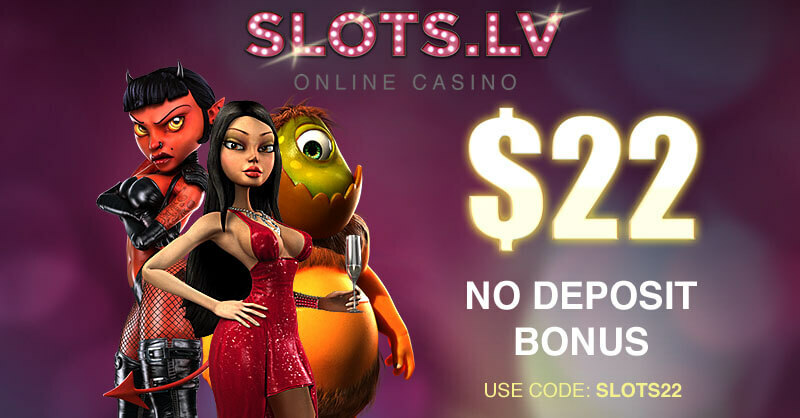 Slots easily earn the title of the most dynamic type of game to play in both online and landbased casinos. The game is indeed played at an extremely rapid pace as the outcome of each spin is determined within seconds while hitting the Spin button requires what seems like a split second only. Needless to say, this indicates players can potentially lose (or win) money at a very rapid pace. Like all casino games, slots, too, have a built-in advantage in favour of the house. The faster and the longer you play, the more money you will end up losing in the long run because the house edge will catch up with you. That is why it is always a good idea to slow down the pace a little bit. You can achieve this by playing only one coin per round on slots where the payouts increase proportionately to the number of coins you bet per spin. Of course, another way to slow down your gameplay is by simply taking breaks every couple of spins. There is no rule that states players should hit the Spin button every three seconds. Feel free to take a break, enjoy a cup of coffee or grab a sandwich. This will able you to extend your gaming session and play longer without having to increase the size of your bankroll.